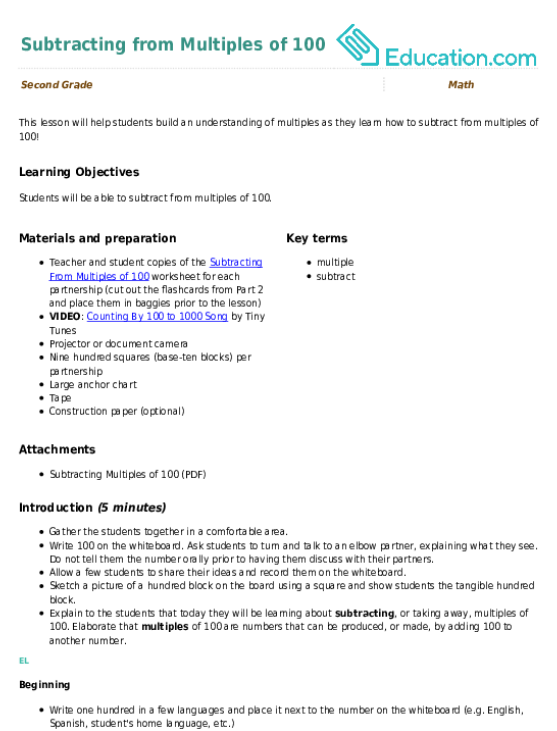 Help your child celebrate 100 days of school by filling out this worksheet all about 100. 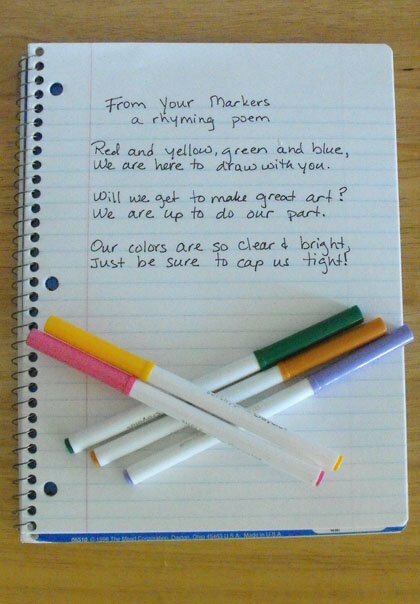 Help your child recall moments and memories from her school year thus far. More and more schools are beginning to celebrate the 100th day of school. Help your child list her biggest accomplishments from the first 100 days of school. This lesson will help students build an understanding of multiples as they learn how to subtract from multiples of 100! Thirty days have September, April, June, and November. 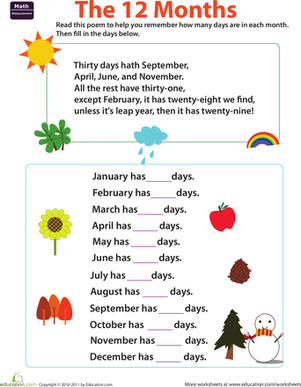 Help your child learn this handy rhyme so she'll never forget the days of the month again! Part 1 of this activity provides students with the opportunity to explore the multiples of 100 using words, numbers, and visual representations. 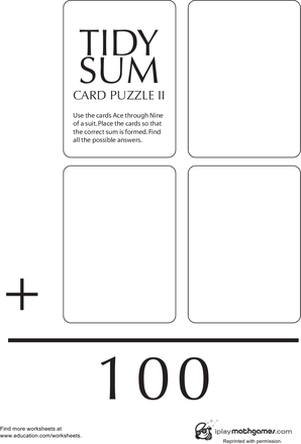 Work on addition while finding sums of 100 using a deck of playing cards and this year two maths worksheet. 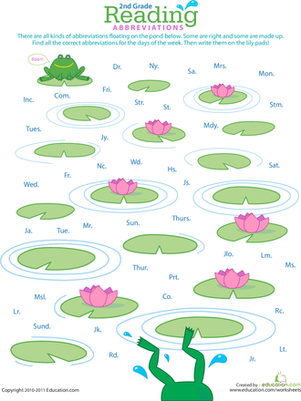 Kids find the correct abbreviations for the days of the week amongst lots of made-up ones in this frog-themed year 3 reading worksheet.